With our proficiency in the respective realm, we are able to present optimum quality variety of EGR Cleaner. Duzzit 90 Throttle & Air Intake Cleaner and De-greaser effectively cleans power-robbing gums and varnishes from throttle bodies and air intake systems on fuel injected vehicles for easier starting and smoother engine performance. - Fast drying. Helps to minimize equipment downtime. WE ARE LEADING MANUFATURES OF THIS PRODUCT. IN INDIA WE HAVE DEVELOPED THIS PRODUCT AND LAUNCHED VERY SUCESSFULLY. USEFUL FOR ALL KIND OF EGR CLEANING. 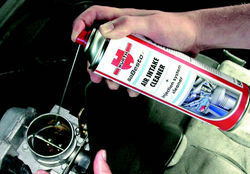 WE DONT HAVE DISMENTAL EGR SYSTEM, JUST FOLLOW THE PROCEDURE , IT CLEANS IN 20 MIN ONLY. We are leading manufacture of Air Intake Assy Air Cleaners. Note: The above mentioned price is the minimum price and can vary from products specifications. 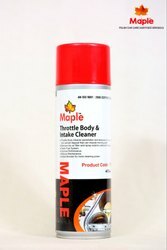 Cleans, lubricates and protects the complete air intake system and combustion chamber as well as inlet valves. -reduced fuel consumption and exhaust emissions.